Web design and development is a constantly changing field that receives its fair share of challenges daily. Regardless of whether we’re talking about making websites look the same on a wide variety of resolutions or building in as much interactivity into them without requiring a lot of back and forth communication between website and server, it’s clear that developers and designers have their work cut out for them. Luckily, there are a lot of great tools out there to help them be as creative and productive as possible. We’ve selected the top 20 we’ve found to tell you about. Amongst all the marketplaces out there, Gridgum is aiming to become a niche market for selling both beautiful and responsive themes and templates. Gridgum sets itself apart from its competition by offering encouragement for sellers and buyers alike. For sellers, Gridgum offers you a fixed commission: 70% for exclusive themes and 45% for non-exclusive themes. For buyers, Gridgum means a one-stop shop where you can find the perfect theme or template that will make your site shine and be ultra-reliable. Also, as a buyer, you receive points with each purchase that you can later use to obtain a discount on other orders. Gridgum also encourages buyers to directly contact the seller for extra inquires or help if any is needed. 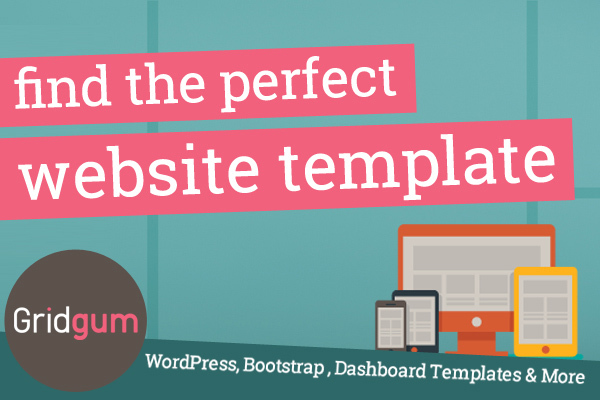 Gridgum offers themes and templates developed with a wide range of frameworks from Bootstrap, to Foundation, Gumby, Skeleton or even your very own framework for developing responsive themes. If you decide to sell your responsive theme on Gridgum remember that they value visual quality as well as a neat design. Also keep in mind that Gridgum expects themes to be tested in multiple browsers and that each theme should have a unique name. Go to Gridgum and start selling your themes right now or shop for your next favorite theme. ExpressionEngine is one of the most flexible content management tools that will help you to easily handle all your website’s content. With this tool, the content of your website is separated from the design, so you can display it wherever you want. ExpressionEngine responsive and works on any sort of device and can fit any requirements concerning both the site and its content authors so it will work great with a tourism themed website or even for real-estate, eCommerce or any other type of website. You don’t have to make any modifications to the application in order to make it fit, because it works great with anything. 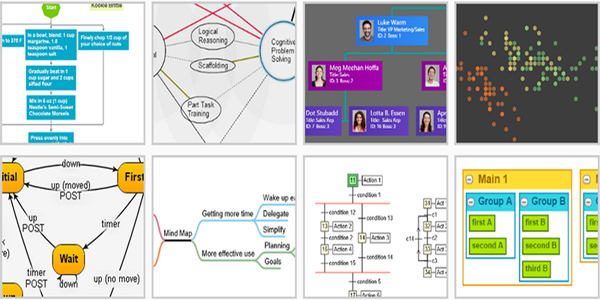 ExpressionEngine is very easy to install and very easy to use without the need to have programming experience. 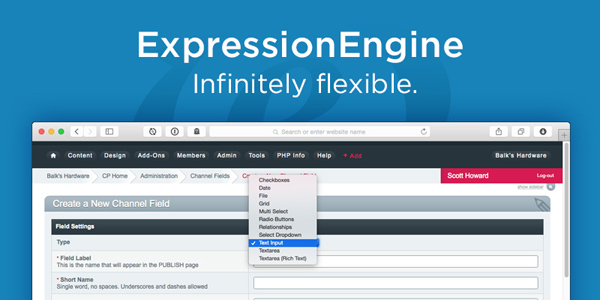 Although, if you’re a programmer, you’ll definitely appreciate ExpressionEngine as it is one of the most extensible content management tools. However, if you find yourself in need of help, there are community resources like ExpressionEngine Answers at StackExchange where you can easily find the answer to your problem. Nowadays, if you’re looking to attract more people and more customers for your business, animations are the way to do it. One of the best online services that can help you create animated multimedia content is HTML5Maker. There’s no need for programming knowledge or design skills to use this tool. Whether you want to come up with something new for your personal blog or you want to create a whole ad campaign, HTML5Maker is one of the easiest way to do it as it comes packed with all sorts of great features. With the Online Animation Editor and the Online Image Editor you’ll be able to put all of your creative ideas into practice. You can create responsive animations compatible with both Google AdWords and Google Double-Click. 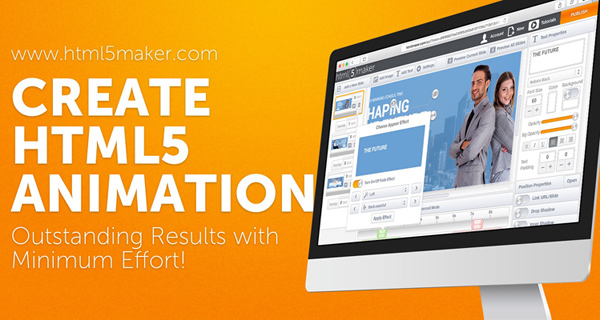 HTML5Maker also provides a wide range of ready-to-use templates you can choose from. In addition to all of this, you can embed your animations straight from the cloud into your website or share them with you friends and customers as a Template. If you have an online store that needs a makeover, you should definitely try Argentotheme.com. Argento is one of the best Magento templates you will find available online. Argento is based on the best eCommerce store practices and it is also in accordance to Magento developers’ guidelines. The theme was optimized for SEO, with tags and HTML attributes and it’s responsive, meaning it will work just as well on any sort of device. Argento can scale to adapt any screen resolution and works with iOS, Android and Blackberry, so you won’t have to create a special mobile application for your website. The team at Argentotheme.com offers to install the template for free in less than 24 hours so you don’t have to worry about the installation process. Argento also has many popular extensions such as AJAX search, easy slider, products highlights and many others that will make your website more appealing and user-friendly. 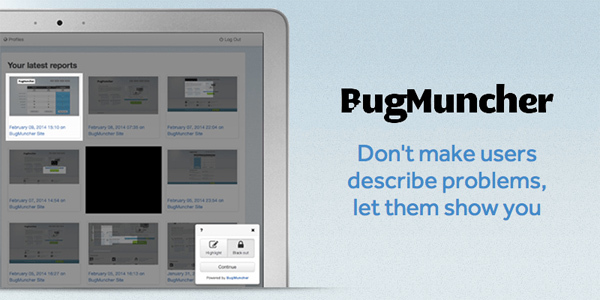 BugMuncher is a clever tool specially designed to help website owners receive both feedback and bug reports from their live sitea from users. It’s great to use because it helps speed up the entire process of identifying the problem so you can move on to fixing it. This is how BugMuncher works: your site’s user highlights the problem online and BugMuncher takes a screenshot that will be sent to your inbox. This incredibly quick one step process will spare you the hassle of asking for details on the problem over mail only for getting inaccurate answers. With BugMuncher you’ll be able to pinpoint the issue even with the less tech savvy users who couldn’t explain it in their own words. What is more, along with the highlighted problem in your screenshot you’ll also receive the user’s installed plugins, his browser info, his operation system and the path he took to your website. 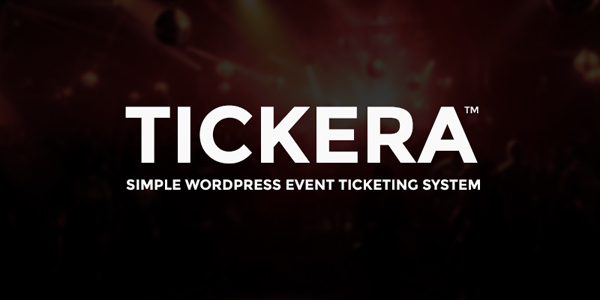 Tickera is an easy to install WordPress plugin that will help you create tickets for events and sell them on your website. Tickera will save you the huge commissions you would pay for similar services anywhere else, as it has a 0% commission fee. This WordPress plugin gives you control over event ticket sales and check-ins. You can check in your attendees on your iPhone or Android. Another cool feature is the barcode reader that will help you improve the entire check-in process making sure you leave less people waiting outside of your venue. Need different templates for different kinds of ticket? Tickera is already one step ahead of you. You can design different Standard or VIP tickets for the same event. Play with the elements, fonts and colors until it all looks sharp. You can even choose your own background image for a more personal touch. In addition to this, the Tickera plugin includes many popular payment gateways out there like PayPal, 2Checkout, Stripe, and Paymill. It doesn’t matter what your field or domain is, at one point or another you are going to find yourself in need of a resume and when you do it’s time to go to Kukook.com. 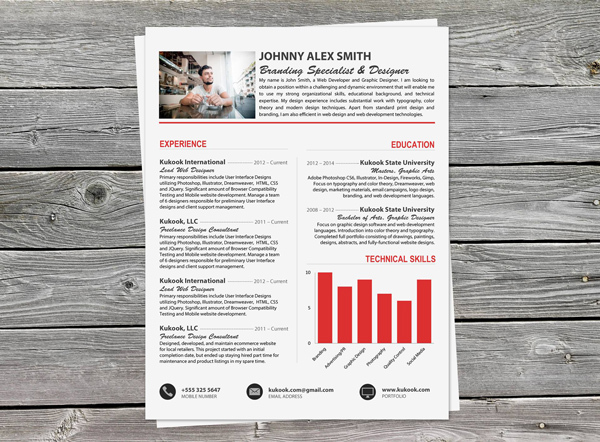 This online service provides the best professional and creative resumes you’ll find and, as a bonus, all their templates are easy to modify using Word. The information that you put in your resume is essential, but the way your resume looks is vital. A human resources recruitment manager has to go through hundreds of CVs daily and giving your resume a certain little something extra in the visual department will increase your chances that said manager will stop and take a good look at your application. By using the diverse array of templates available at Kukook you’re sure to have an elegant resume that creates a lasting impression and helps you stand out in the crowd. 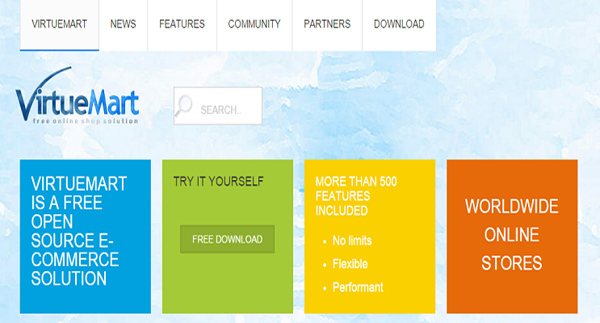 Themify.me is one of the best places where you can find a large variety of greatly designed themes. These themes are both highly functional and easy to customize with the help of features such as the Drag&Drop Builder, custom widgets and shortcodes. 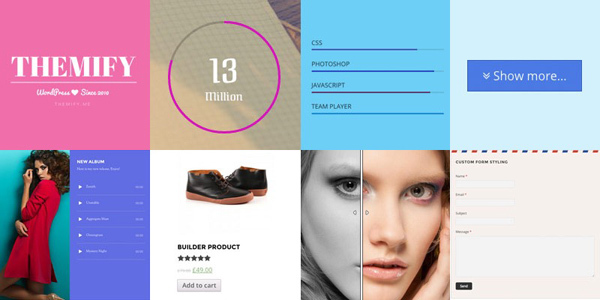 You can customize your template without needing any design skills. 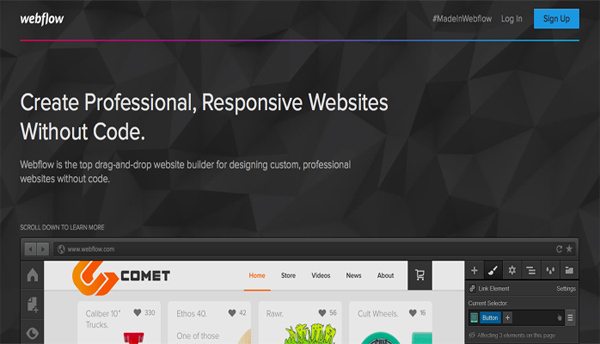 Themify.me now offers a brand-new tool – the Builder Addons. With this tool Themify has extended the Themify Builder and all the features that come with it can be used with any Themify theme and the Builder Plugin. The Pointers addon draws attention to your images by placing them in animated text boxes. The Timeline module helps you create list views or timeline graph layouts for your posts. The Progress Bar plugin allows you to create and animate display of the progress of an ongoing project. The WooCommerce tool will help you customize your shop pages. The FitText module allows you to make custom banners and customize them with fonts, color and background. 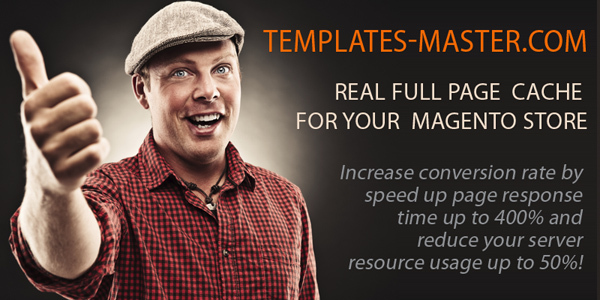 Templates-Master.com is one of the leading providers of Magento themes and extensions on the market. They pay great attention to SEO and they design the best templates based on improved HTML. Furthermore, they’re always coming up with updates so that their products will work with the most recent Magento releases. Because nowadays time is money, Templates-Master has developed the Magento Page Cache tool. This tool was created with the purpose of making your store faster and helping you to pay less for hosting packages. The tool is very easy to install and has additional extension settings that will help you set flexible cache rules based on page, block or module. Page Cache is based on core Magento architecture that supports both static and dynamic blocks. It is very easy to install and you have access to installation instructions and manual as well as to 1 year of free support from the professional developers at Templates-Master.com. The times when you had to use preset icons for your site are long gone. You can now easily get fully customized icon sets at FreeIconMaker.com within minutes. Icon Maker allows you to browse through their extensive icon gallery, choose the perfect one from hundreds of beautiful icons and move on to changing its look in any way you see fit. Play around with gradients, colors and size until you’re happy with the result. Don’t worry about losing the quality of your customized icon set. This won’t happen because all the icons are vector-based files. 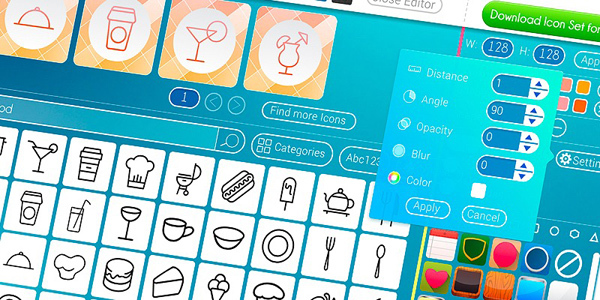 Using the Free Icon Maker Editor is intuitive and it’ll get you feeling like a proper designer. You can create flat or 3D icons without any advanced design skills. Just pick a background from the library and your icon is done. Icon Maker is 100% free and you are allowed to create an unlimited number of icon sets. Once you’re happy with your work you can share it with others as a template. Keeping a constant monitor on your websites and servers is a precautionary measure that should be taken by all owners. It’s very important that you always be informed if any kind of issue arises. 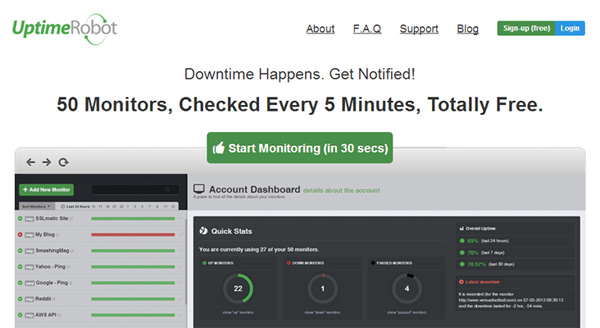 Uptime Robot is a free monitoring service that offers you up to 50 monitors that you can use. These monitors will check your website or server every 5 minutes and notify you if any problems are found. You have complete freedom to choose the way in which the notifications reach you be it via RSS, web-hooks, SMS or email. Everything you need to configure can be done in Uptime Robot’s intuitive and highly functional interface. In addition to this, you get access to a full featured API that will allow you to integrate uptime monitoring offered by Uptime Robot into your apps. Also, you can use Uptime Robot to get reports on response time from all the websites or servers you monitor. 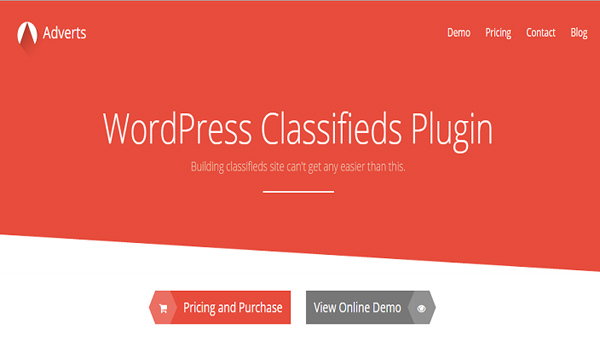 Adverts is a plugin designed to work on the latest realeses of WordPress and help you create your very own classifieds website. This plugin has a one click installation that is guaranteed to get it up and running on your website ragardless if its newly created or the one you’ve been using for a while. Also, you will have the liberty to define your own shortcodes in order to be assured that your website will run seamlessly. Adverts if fully developer friendly with carefully written code that adheres to the best WordPress practices, thus making it easy for the more tech-savvy to extend it with hooks and filters. What’s more, the plugin is throughly documented so that you will be able to find a quick answer to most of your issues. If it happens that you’re unable to find the solution you need, don’t hesitate to contact the team behind Adverts, they are working away at creating new, exciting features for the plugin but promise to respond to your email within 24h nonetheless. The layout of your website is one of its building blocks beyond any shadow of doubt. This is why you must be very careful when choosing the layout that you will use. 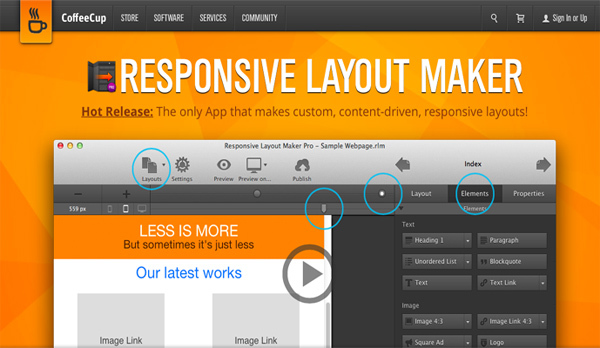 Even better, you should make sure your layout responds to all your needs and create it from scratch. The best way to do this is to turn to CoffeeCup. CoffeeCup is an application developed by a team that’s been in the business ever since 1996 and it can help you create a responsive, content-driven layout in no time. By using this tool, you will have complete creative control over the layout of your website and you can rest assured that any snags you might encounter on the way will be handled by the award-winning support system over at CoffeeCup. There are several web hosting solutions out there and you should be well informed before picking one out for your site. 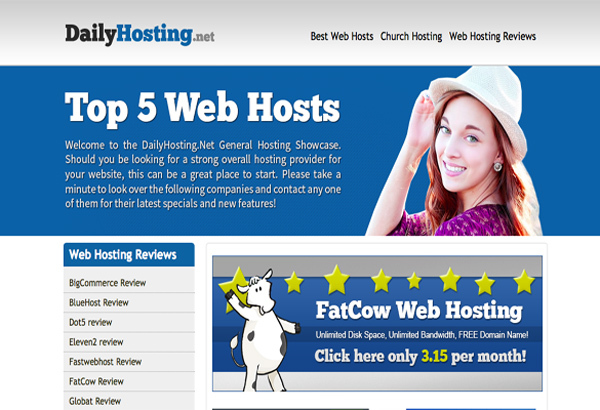 At DailyHosting.net you’ll find all the information you need and plenty web hosting solutions examples, so you’ll definitely find what suits you better. Using Daily Hosting’s free hosting guide, you can compare different hosting companies so you can spot the advantages and disadvantages at a glance. Also, make sure to go through all the reviews that will help you make an informed decision. You should take into consideration your budget and consider if your site will become more profitable soon. Also think of how much traffic your site is currently bringing in. If there’s a chance it will increase in time, bear this in mind when choosing a hosting solution. Your site’s purpose shouldn’t be neglected either: check out what hosting others are using for the same type of site and follow their lead. XStudio is an easy to use test management solution that will handle the entire lifecycle of your projects. This is a compact graphical test management application that can manage your Quality Assurance or testing project from users, specifications, requirements, test plans, and linkages to defects. For storing data XStudio uses MySQL, Oracle or SQL Server, which means you can use it from Windows, Linux or Mac. Additionally, XStudio is the only test management tool that can be interfaced with proprietary tests due to its particularly flexible and easy to use Java SDK. 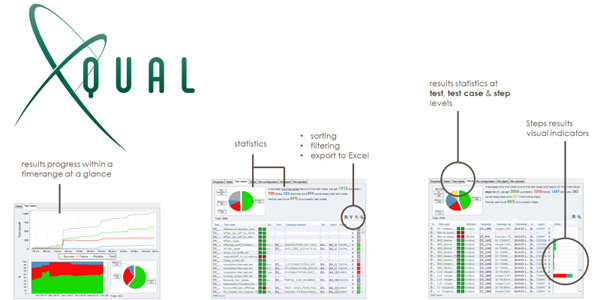 What makes XStudio ideal for your customer is that it offers outstanding tools to measure the coverage of your testing, like the traceability matrix, the execution progress and the quality index of your web site. Another cool thing is that your clients will be able to see which of their requirement have been tested and developed in real time. VirtueMart is an eCommerce solution especially designed as an extension for the Joomla! content management system. VirtueMart is free for everyone to use, seeing as it was released under the GNU General Public License, and there are no restrictions on it: you can have an unlimited number of customers, products and categories defined and in use at any time on your website. Shoppers can enjoy a customizable shopper input form, a default Bill To and Ship to address as well as a default payment and shipment method. 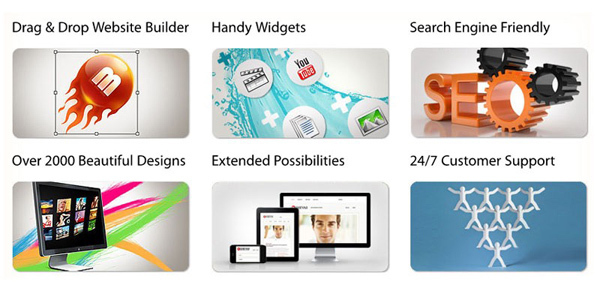 All these features were created with increasing user experience in mind. With VirtueMart you can keep a stocking/inventory overhead and receive warnings when stock is almost gone. VirtueMart offers you the possibility to display different prices based on your shopper groups and the customer can also choose between several currencies that are updated on a daily basis. Another cool feature of VirtueMart is the Dynamical Calculator that can calculate discounts based on time, country or state; it even calculates tax based on category, shopper group and country. VirtueMart has default SEF/SEO integrated and allows you to get paid based on plugins already on board like PayPal and Checkout. Need a hand creating and managing websites but you don’t want to get into coding and programming? Then MotoCMS is the perfect tool for you. MotoCMS is a website builder (content management system) that helps users update their websites by applying and viewing the changes on the spot. You can rest assured your web site will not only look professional and beautiful but it will also be mobile friendly in just a few seconds. The Admin Panel is very intuitive and allows you to customize your site’s look with just a few clicks. MotoCMS for Flash sites provides a set of features and widgets for video and image galleries creation, video and MP3 player embedding, mobile version creation, custom widgets integration, custom fonts, image editing, and much more. In a nutshell, your website will already have everything you could ask for. And if you still need a hand with anything, MotoCMS’ supportive staff will be happy to help you out with any topic. Opinion Stage allows you to create polls that look amazing in only a few minutes. Whether you want to create a standard poll or a social one, Opinion Stage has got you covered. 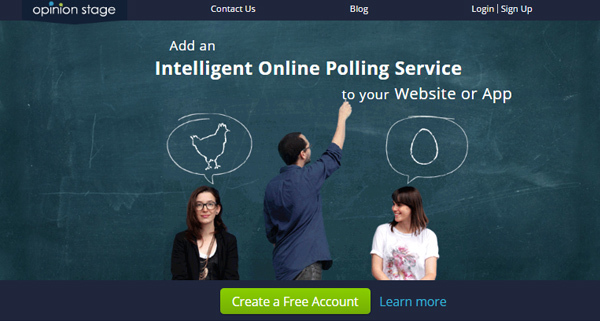 Using polls helps you engage users and get feedback from them in a quick and efficient manner. You can customize your Opinion Stage poll exactly the way you want it, so it can match your website design or color scheme. You can even monetize your poll if you choose to allow Opinion Stage to add commercials to it or promote other polls from across the network. Opinion Stage also offers a rich reporting dashboard that will keep you up to date at all times. Here you can check your polls’ results and even filter the results according to what you need: gender, time-span, geographic location or social network. You can also check your polls’ performance and see how much traffic they are currently bringing in. Creating a website has never been as easy as Webflow makes it look. Webflow is a drag and drop website builder that will have your website out and running in no time. Unlike most of its competitors, Webflow doesn’t just create a mockup or an empty design for your website, it actually generates all the code you need in order to release it straight into production. Start making your website right now with Webflow.